I wish to win __________ Parklon Play Mat for my baby. 3) Tag your families and friends and you may stand a chance to win yourself a Parklon PE Plus Mat worth RM319.00! 4) 5 lucky winners with the correct answer will be selected randomly. Try your luck now as the contest is running NOW until 24th September 2017! 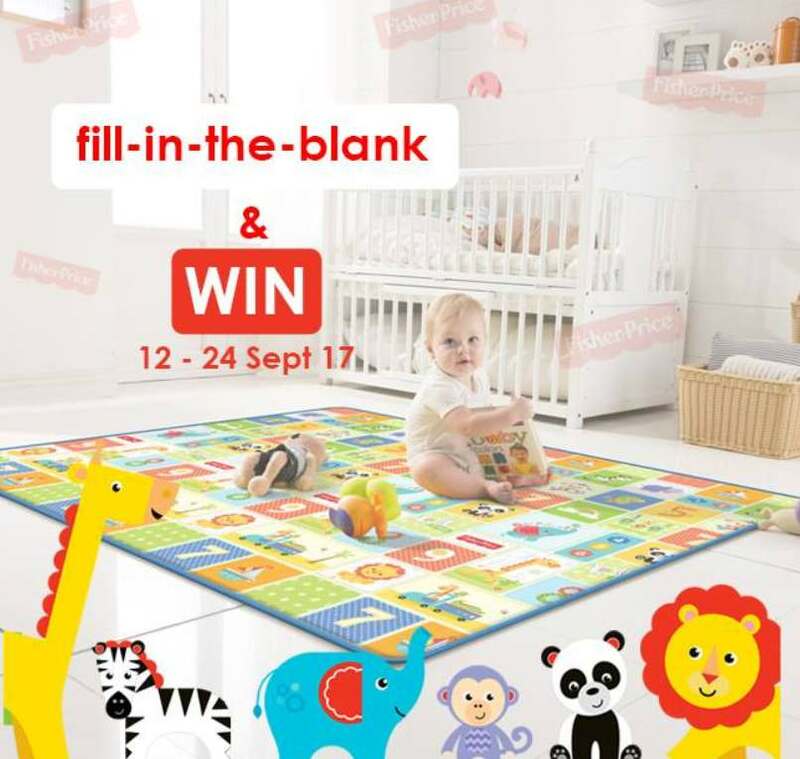 • We will be announcing the Winners @CobyHausParklon & Fisher Price Play Mat Malaysia Facebook page. • Winners will have to respond towards our Announcement within 48 Hours after the Winner Announcement or we will need to pick the next Winner. Find out more at Fisher Price Play Mat Malaysia.